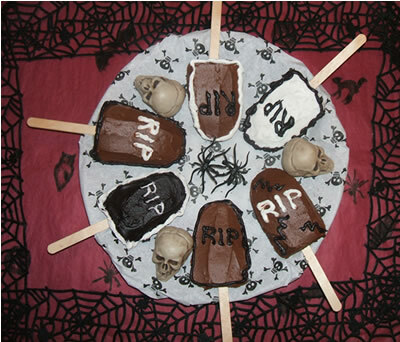 Miniature tombstone cake on a stick makes the perfect treat for your next party! Be creative when you decorate! Add each guests name. RIP! 8 tombstones on nonstick cake pan. Popsicle sticks included.